Turkey’s Erdoğan Tightens Grip | Looking for that Blessed Hope! 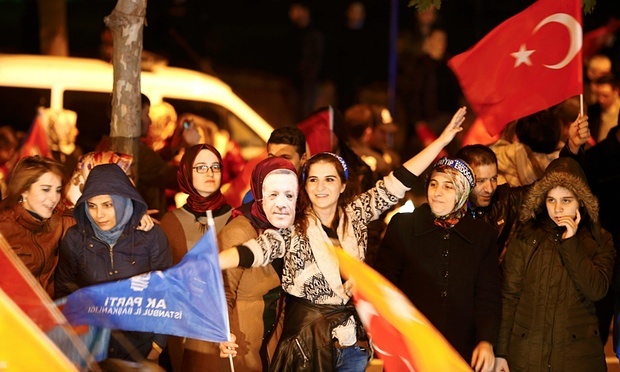 Turkey’s strongman president, Recep Tayyip Erdoğan, tightened his grip on power decisively on Sunday as his ruling Justice and Development party (AKP) swept back to single-party government with an unexpectedly convincing win in national elections. This entry was posted in Gog & Magog, Prophecy and tagged AKP Party Win, Erdogan, Gog & Magog, Turkey by atharris. Bookmark the permalink.